Follow: Mission Networking at Urbana. Abigail was recently wrestling with her decision to move towards full-time overseas ministry on our blog: Go Serve Love. Today Jason made use of our mission trip search engine, ShortTermMissions.com, to find trips in Kenya that match his gifting and availability. They are just two of the thousands of believers who interact with M-DAT's online services every month to help encourage and connect them with their next steps in global outreach work. Your donation today will allow Mission Data International to exhibit at and interact with mission representatives AND the next generation of global outreach workers at the Urbana Mission Conference in St. Louis, Missouri this December. Having our staff onsite to interact with mission representatives at Urbana provides the opportunity to strengthen relationships with mission trainers and senders. 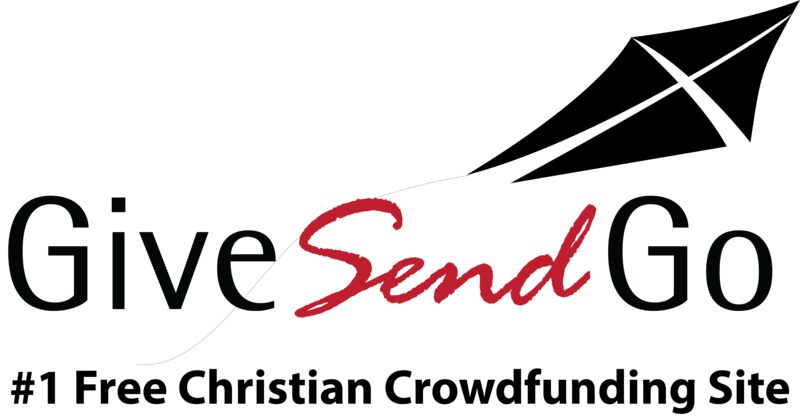 In so doing, we can continue to provide the best resources and encouragement for the thousands who reach out to us each month on their mission journey. All donations received through this campaign will go towards our exhibit registration fee, staff admission and the literature and supplies that we will be handing out while onsite at Urbana. Donate towards M-DAT's campaign by clicking on the red "GIVE NOW" button. Our niche in the big wide world of global missions is from that point when a believer's heart is first stirred in an overseas direction, up to the point that they wheel their life onto a 757. We are in the unique position of serving as a connection point for individuals pursuing a journey into cross-cultural ministry and the many mission training and sending organizations that are available for them to go with. In addition, we love to help these global minded, Jesus followers as they wrestle with all the real challenges, thoughts and questions that come up along their journey. We are committed to doing our part to raise up the next generation of global outreach workers and we want them to represent Jesus well as they take His name to the ends of the earth. Click on the red "GIVE NOW" button to make a donation. Thank you for your support! May God bless your efforts to discover, connect with, and guide those He may be calling to serve among the nations. It was great hearing from you guys. Prayers for the campaign and for your time at Urbana! Praying for divine appointments for you Rebecca! Thank you for your ministry. God Bless you! You have been serving mission agencies for a long time . . want to see that continue. I am grateful for the work and ministry of M-DAT. Hope you have a productive time at Urbana! A Successful time at Urbana 2019! Thank you so much for your contributions that enabled M-DAT to exhibit with three staff members at Urbana 2019! We had so many compliments on our display, and we had many wonderful interactions with attendees and mission mobilizers. Overall it was very profitable for us to be in attendance. Please visit the gallery page to see a picture of Chelsea and Rebecca at our booth. You can also read a write up of some of Rebecca's observations while in attendence on our missions blog: Go Serve Love. The article was posted on Janaury 11, 2019 and is entitled "Snapshots of North American Missions: Urbana 2019". Celebrating half way as we round the corner this week! Thank you to each of you have have said yes and partnered with Mission Data International in the capacity you have felt lead and been able to! I am happy to say that we have hit the halfway point in our campaign! We are just $2,000 away from our goal to get M-DAT to Urbana this December. Our staff is diligently making plans for our booth and preparing printed material to connect with the next generation of global outreach workers who will be in attendance. If you haven't been able to make a gift yet and plan to, NOW is a great time to do that! For those who have already contributed, if you would take a moment to share our campaign on Facebook we would sure appreciate that. Thank you for connecting with what God is doing in this generation as they seek their next steps in missions! $1,000 Win Win! Charging towards half-way! We just received a call from the Urbana exhibitor coordinator and we are going to be able to change our exhibitor status while at the same time saving $1,000 and increasing our visability with the next generation of global outreach workers! That means the necesary fund for this mission mobilizing effort just dropped from $5,000 to $4,000. Help us reach the half way mark by the end of the week! Our current goal is $2,000 by Saturday, October 6th. Your contribution of any amount, 'GIVE now' brings us closer to our goal! Clicking the blue 'PRAY now' button lets us know that you are agreeing with us in prayer for God's provision. If you have already made a contribution or are unable to give at this time please SHARE our campaign with others who want to see more laborers raised up for the harvest. Thank you for your continued support of Mission Data International as we strive to connect belivers with their next step in missions. Our exhibit at Urbana 2019!